I’m excited to announce that I’m making the blog more accessible to most types of mobile phones. I say most because some phones or browsers may not read the mobile version correctly yet. I’ve heard that Windows phones don’t display the mobile version well and I noticed that the Opera browser looked equally as bad in Android. I’ve changed the layout of the character schedules to better fit the mobile experience and created all new character information pages. 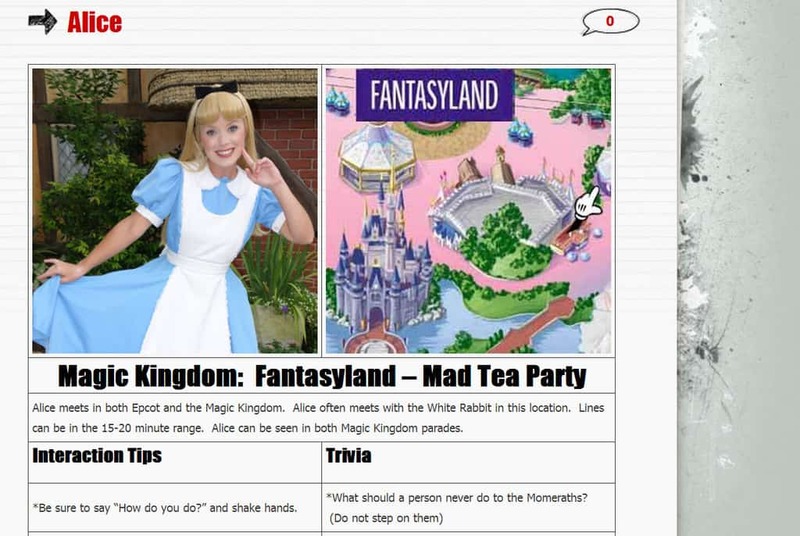 The character information pages now contain a nice photo, map of the exact location, text description of the location, some meet and greet information, interaction tips and some trivia to read while you wait. Wait? “Who waits?” you say. Well, we certainly wait less than others when we are prepared. 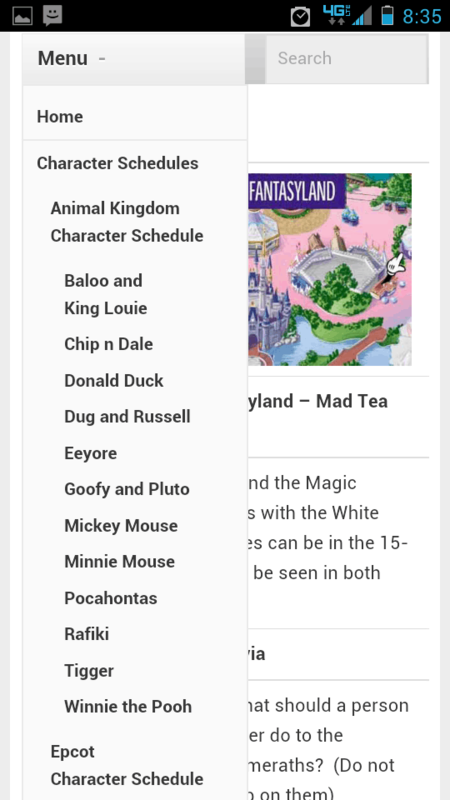 Many people have requested an iPhone version of the Character Locator app. I’ve sent the graphics of the new design to my friend to begin working on the app, but it takes a very long time to develop and test for the iPhone. So, I’ve taken this step of building a more mobile friendly site when it comes to schedules. I’ll be changing the Show Schedules and will be placing it back on the top of the site and update that weekly as usual. 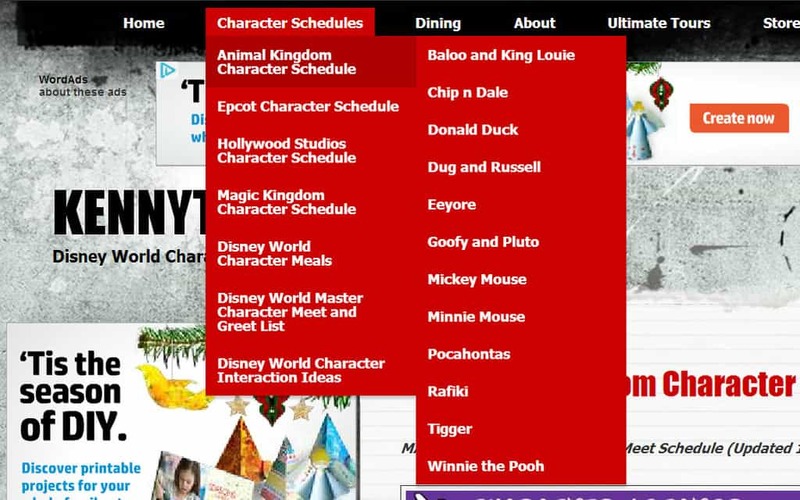 I’ll also work on more character touring plans and make sure they are mobile friendly. This is what you’ll find. After loading the site you click Menu on the upper left hand side and the drop down menu will appear. 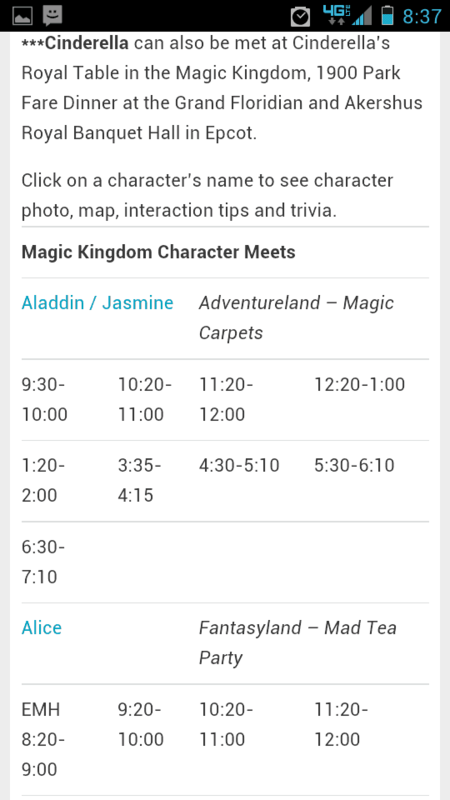 The schedule still shows all the same data, just in a new layout with character name and location, followed by meet and greet times. 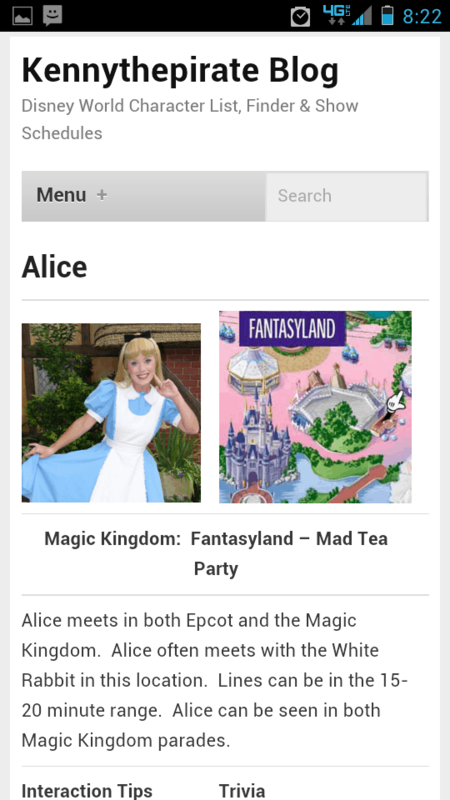 If you click on a character, for example Alice, you see the layout at the top. 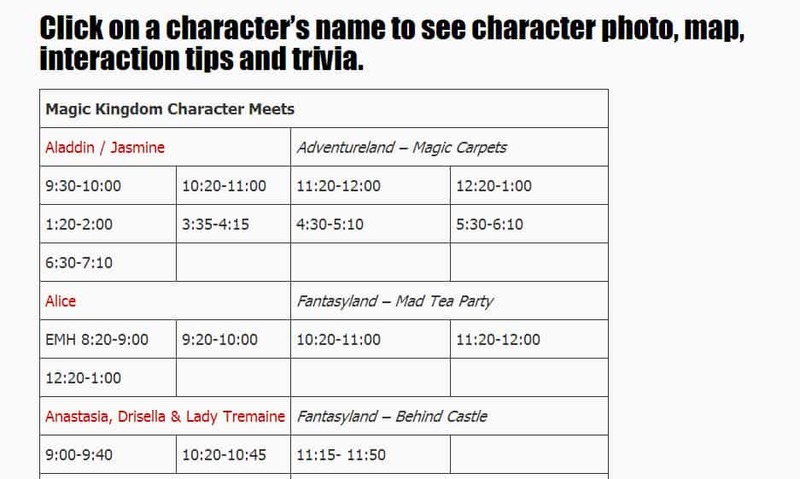 This should enable everyone the joy of meeting characters with less waits and some great interaction tips (Which I’ll happily add to as you guys provide your thoughts). How does this affect the standard view mode? Actually, not much. It does add a drop down menu that now branches out, so you can see a character’s information without needing to search for him or her. 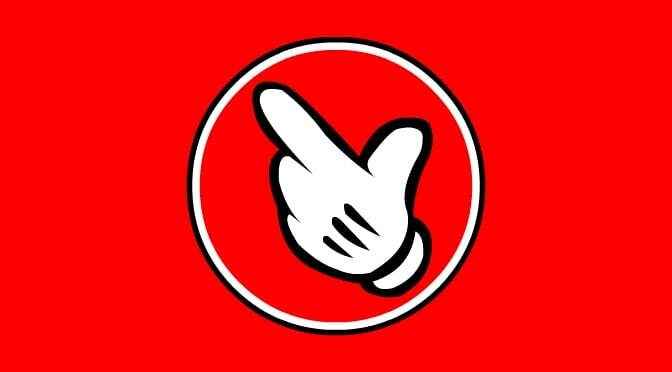 Your thoughts are always welcome and I hope you enjoy your next trip to Walt Disney World!